Home News Global medtech market to reach £320 billion - but how will it happen? According to a report published by Visongain1, the global medical device market is expected to reach £320 billion this year. Oli Gould, design engineering team manager at Owen Mumford shares his thoughts on how this might happen. £320 billion is a significant increase from the total of £256 billion reached back in 2012. This growth suggests that the industry will see great opportunities for expansion in the next twelve months. How will wider trends in healthcare affect demand for medical devices, and how can companies in the medical device industry try to take advantage of this increased demand? Alongside this move by the government, private companies are also investing in training and development for engineering skills, in order to close the skills gap that currently exists within the industry. The move provides a clear signal of intent that science and engineering will be at the forefront of the country’s future, with an ever-growing demand for skilled employees. In line with recent apprenticeship funding (projected to raise up to £3 billion a year by 2019-20), the government is offering support to encourage the development of science and engineering in the UK. Advances in additive manufacturing and 3D printing have been vast in the medical device arena already, but we are still only scratching the surface that these technologies can offer. Additive manufacturing provides a cost-efficient way of producing a wide range of products from highly complex and customised components, single parts or short runs of devices. It is taking an increasingly dominant role in the product development and manufacturing process. However, the term ‘3D printing’ refers to a wide range of processes that can be used for design, each with their own strengths and weaknesses. As the costs around different 3D printing technologies continue to drop, more organisations will get the chance to experiment and gain experience with various approaches. With this, growing opportunities to use and innovate will naturally increase, encouraging more use and more development. This movement is essential for 3D printing and additive manufacturing to scale up in supporting new product development and in providing more efficient design stages. Whilst there is still a long way to go, a positive shift towards personalised care is underway, as offerings are shifting from mass generalisation to mass customisation and precision. The end goal is to improve treatment adherence, self-management and efficacy, making the initial outcome positive. Whilst there is no ‘one size fits all’ approach, personalised care will become more accessible in both diagnostic and therapeutic areas. This will provide patients with better fitting devices that can improve how and when they receive treatment. With a growing demand for smaller and more convenient methods of treatment, personalised care will focus on how to monitor and deliver treatment in line with patient lifestyles. This includes analysing the best method for patients, how the end user interacts with their devices over time, removing options that cause confusion and implementing new features that make treatment easier. Together, this will improve a patient’s self-management system. This combination of product design and psychology can help adherence to treatment regimes over time. This makes treatments more successful for patients, for pharmaceutical companies and for healthcare providers as well. 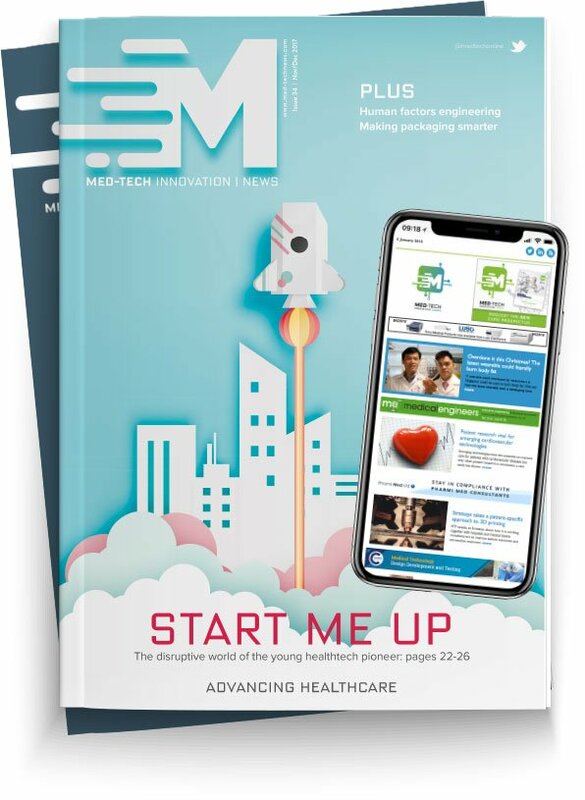 Like many traditional products, manufacturers are looking at how connecting medical devices to the Internet can help in treatment programmes. Using Internet-based services can help with adherence to treatment regimes, while consumption of device consumables can also be tracked. Automatic ordering of replacement parts such as pen needles or other consumables can then be added. According to The U.S Food and Drug Administration, devices can go to market when there is a reasonable assurance that the benefits to patients outweigh the risks. These new connected devices have to be secure against unauthorised access or tampering. Medical devices must be protected against attacks, as the potential harm could be far higher. For this trend to be successful, manufacturers and healthcare providers must collaborate to identify cybersecurity risks and stop them from being exploited. With a growing industry, there inevitably comes an increasing level of competition. Medical device manufacturers will need to display how they can manage cost-effective design and development processes to deliver better products to tighter regulatory policies, especially in the emerging economies. By using knowledge and experience from today’s advanced technologies across design and manufacturing, medical device companies can improve their speed to market in 2017 and quickly respond to new changes and trends in the global marketplace.